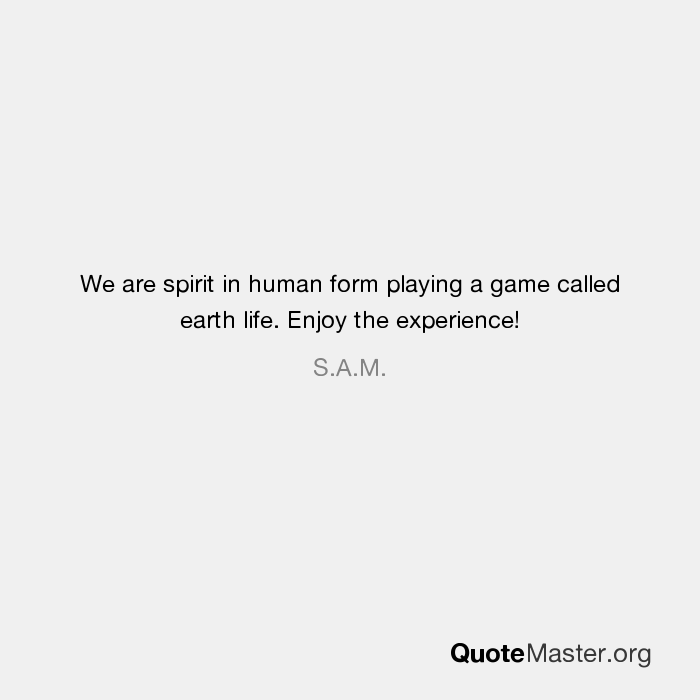 We are spirit in human form playing a game called earth life. Enjoy the experience! S.A.M. 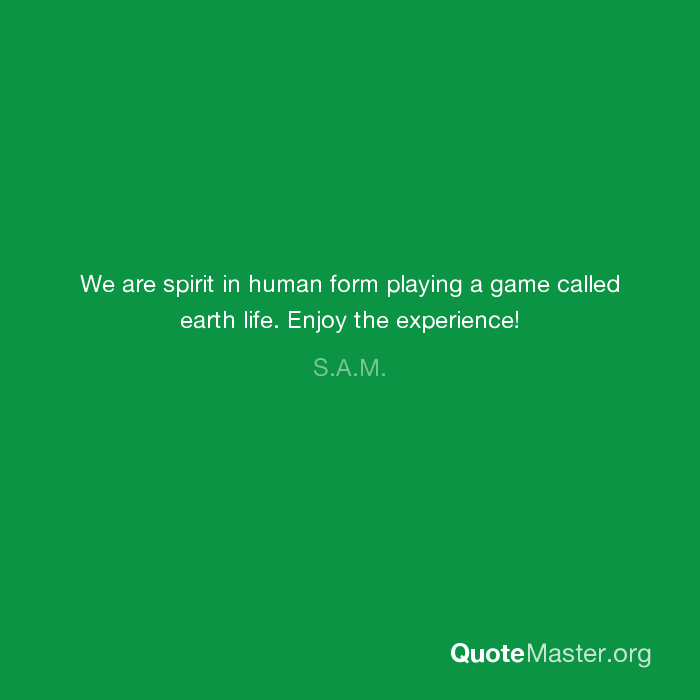 We are spirit in human form playing a game called earth life. Enjoy the experience! - S.A.M.